When I read about 16 baby pandas who had been born at Wolong in China, I knew I had to find a way to photograph and write about them. I went to Chengdu, hired a Chinese driver and interpreter, and for four hours we travelled up the mountains to Wolong. It was a terrifying trip, but worth it to see the pandas. I asked permission to play with them and it was allowed, provided I covered my shoes and clothes with plastic. The pandas pulled everything off and tried to climb my legs. They were very funny with their antics. It was a privilege to be so close to these beautiful endangered animals. 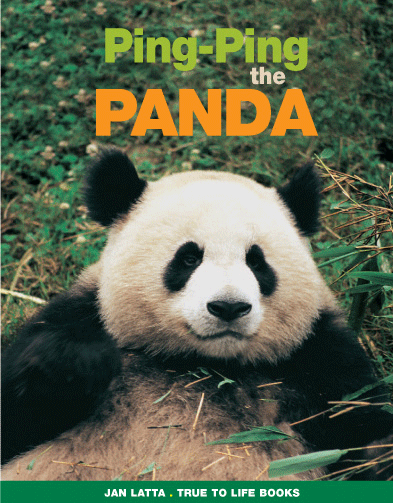 The concept for the book is the panda talking to children about its life in the wild and how it can survive. There are maps, interesting facts and fun activities. See this video of pandas in the wild.